For the second week in a row in his new home, Kenneth Maldonado’s evening ritual began with lumping sweaters and sleeping bags into the shape of a mattress in his otherwise empty bedroom. It was late September of 2011, the end of his first month as a Teach for America instructor. 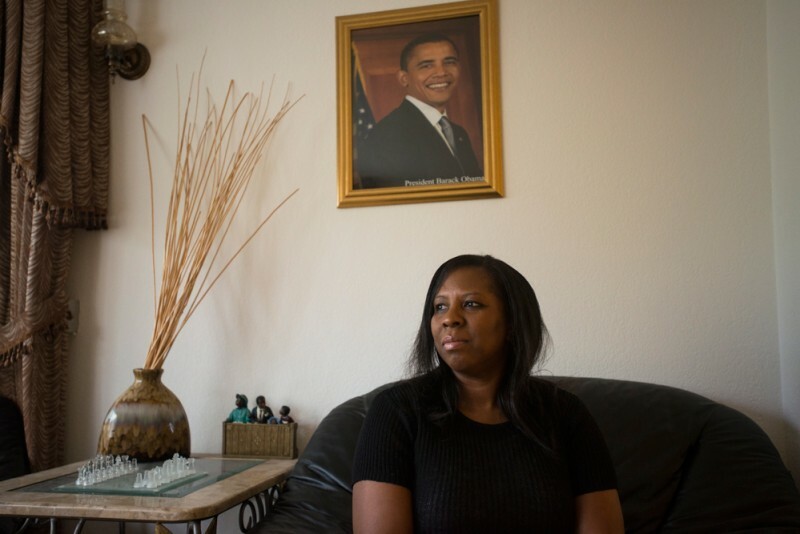 Having been only recently approved to teach in the Seattle school district, he was broke. But Maldonado and his two roommates — also TFA teachers — were among the lucky ones. Just a few weeks earlier, a half-dozen of their fellow recruits had been camped out on the hardwood floor of the unfurnished common area, homeless and unemployed. The Teach for America program, now 24 years old, selects and sends young college graduates (referred to as “corps members”) to teach in schools serving primarily disadvantaged children of color, after giving its recruits five intensive weeks of training over the summer. Like the Peace Corps, TFA is a résumé booster, and its alumni have gone on to successful careers from the White House to Wall Street. The 2011–12 school year was the organization’s fledgling year in Seattle, and Maldonado, then 24, initially felt excited to be one of the first 38 recruits. 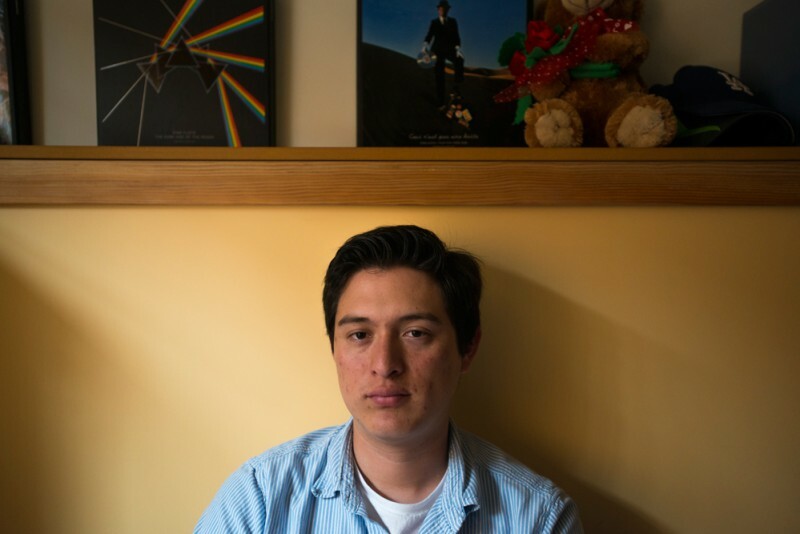 His family didn’t have much when he was growing up in Los Angeles — his father, a former teacher in Guatemala, took on maintenance jobs after fleeing to the United States to escape the country’s civil war. But Maldonado excelled in school, graduating from the University of California Santa Cruz, with a theater major and an education minor. He soon got a job with a San Jose–based nonprofit that helps people find low-income housing. It hadn’t. In 2009, the Seattle school district was hardly in the grip of a teacher shortage: 13,800 teachers had applied for just 352 full- and part-time positions. But the schools were facing a $25 million deficit, and TFA was asking for a $4,000 annual fee per recruit (area philanthropists would later cover it; on average, schools contracting with the organization pay $5,000 a year for headhunting and support costs). So the district’s decision to pursue a contract with TFA quickly became controversial. In board meetings that were sometimes standing room only, dozens of community members — including parents, teachers and high school students — signed up in record numbers to testify against the district’s contract with the organization, urging the administration to hire more experienced local teachers. Several people even brought homemade signs with slogans like NO TFA NEEDED! The aspiring teachers, who arrived in Seattle in June 2011, found themselves in limbo. “Everyone was freaking out about money,” Maldonado recalls. In the end, he was one of 13 recruits — out of the original 38 — who’d landed a job by October. (One dropped out later that year.) Applying for every open position, the TFA recruits were hired by 10 schools — only three of which served the high-needs population (determined by whether 80 percent of the students receive a free or reduced-price lunch) that TFA claims to target exclusively in its federal grant applications. Teach for America was, from the start, an ambitious idea. In 1990, Wendy Kopp founded the organization within a year of graduating from Princeton University, where she conceived of TFA in her undergraduate thesis. In its first year alone, TFA sent 500 recruits to four states. In the 2013–14 school year, it sent 11,000 recruits to 38 states and Washington, D.C. Although its corps represents less than 0.5 percent of the nation’s 3.3 million public school teachers, TFA has evolved into a political powerhouse, with net assets totaling $419 million. Between 2008 and 2012, when education spending hit the recession’s rock bottom, the organization generated revenues topping $1.1 billion from both government and private sources seeking to invest in K–12 reform. The private nonprofit draws bipartisan support and nearly one-third of its funding from taxpayer dollars. In exchange for a $50 million innovation grant awarded by the Obama administration in 2010, TFA promised in its grant application that it would meet the needs of the “highest-poverty districts in the country” with unprecedented growth: by next fall, 13,500 recruits are slated to reach 850,000 children. When TFA started up, Kopp prioritized sending its energetic but inexperienced corps to public schools lacking licensed educators — the schools often too poor or too dangerous to attract teachers. But since the recession, with education funding across the country drying up, teacher layoffs have become more of an issue than teacher shortages. Between 2008 and 2013, 324,000 teaching positions in local school districts were eliminated, according to the Center on Budget and Policy Priorities. With TFA’s expansion outpacing needs, it has been forced to find new places for its recruits. In the process, the organization has come under increasing fire, not just from outside critics but from its own alumni ranks, which include former recruits who believe the organization’s aggressive growth strategy has compromised its mission. According to internal documents and federal grant performance reports, TFA’s growth also increasingly hinges on fueling the country’s thriving charter movement. The organization’s data show that one-third of its recruits now teach in charters (up from 13 percent in 2007), which are mostly nonunionized, privately run, and can receive millions in private support on top of public funds. TFA has funneled a growing constituency of brand-new recruits into charters in large urban districts that have recently laid off hundreds of experienced teachers, including Philadelphia (where 99 percent of corps members teach in charters), Detroit (69 percent) and Chicago (53 percent). Washington State only recently approved charter schools; the first will open in Seattle this fall. Meanwhile, the cost of recruiting, training and supporting corps members — which is partly subsidized by taxpayers — has more than doubled over the past decade, from $22,000 to at least $47,000. (TFA disputes this, claiming that it has revised its method of accounting for these costs.) And informal data that the TFA used to track its teachers’ performance indicates that their students aren’t making as much progress as they were a few years ago. When I joined TFA in 2008 after graduating from college, the organization set up a phone interview with a principal at a San Jose elementary school. I was hired for a second-grade position — sight unseen — before even starting the five-week summer teacher training. That year was one of record growth for the organization, which brought in 700 more recruits than the previous year, exceeding expectations. It also corresponded with the beginning of the recession that has since forced school districts to cut back on hiring and, in some cases, led to mass layoffs of poor and excellent teachers alike. TFA still works in areas with legitimate teacher shortages. Rural schools in states like Mississippi have come to rely on the program to fill classroom vacancies. But demand for the organization isn’t keeping up with its projected growth, dropping off even in strongholds like Mississippi. In innovation grant reports filed with the Education Department, TFA cited “an extremely challenging placement landscape,” and later cut 700 spots from its 2013–14 recruiting goal. Both supporters and critics of TFA are calling for more transparency before the organization expands further. “I’m really troubled by public dollars going to TFA at the same moment teachers are being let go,” says Gloria Ladson-Billings, a professor of education and race theory at the University of Wisconsin. Rita Green didn’t know too much about TFA before the organization came to Seattle. Not because she wasn’t involved in her children’s education: at the time, Green served as the vice president of the parent-teacher-student association at Rainier Beach High School, where her son was a junior. Green kept an open mind, hoping they might add more faculty of color to the school’s mainly white staff. The student body is predominantly African American, Pacific Islander and Latino. At Rainier Beach, parents sit on hiring teams, which interview and recommend staff members. Green was part of a selection committee reviewing applications. District administrators and TFA’s national staff acknowledge that its recruits are cheaper than teachers with experience or advanced degrees. Michael DeBell, a member of the Seattle school board, helped bring TFA to the district in 2010. It wasn’t a question of lacking qualified teachers, DeBell said, with between five and 100 people applying for every open teaching position. Rather, he said, “it was a simple matter of fiscal challenges and political optics — about not paying extra” for new hires. As TFA moves into wealthier schools and districts, the debate over its recruits’ quality is likely to intensify. Critics say that inexperienced corps members shouldn’t be placed in front of those children who need the most academic help, while supporters say the recruits are just as good — if not better — than other new and experienced teachers. Only two large-scale studies have looked at the effectiveness of TFA recruits versus other teachers. Both were conducted by the independent research group Mathematica; the first study, in 2004, examined the elementary school level, and the second study, released in September, looked at secondary school math. Both studies showed that students with a TFA teacher scored at least slightly higher on math assessments than the students of other new teachers. The recent secondary math study showed that students gained an extra 2.6 months of learning, a finding that held when TFA teachers were compared with experienced teachers. In elementary level reading, TFA teachers were no more effective than other new teachers, although less rigorous studies have shown TFA teachers may depress student reading scores. The bulk of education research, looking at student test data, has shown that experience doesn’t make a teacher good, but it does make good teachers incrementally better, especially early in their career. Another growth strategy that TFA has used for years is increasing the number of recruits in special education and limited-English-proficiency classes, notoriously understaffed subjects that require specialized training, by 15 to 20 percent annually. Little research exists examining TFA’s effect on students in these areas. Last spring, however, TFA found itself pitted against a group of forty-seven alumni over whether recruits in California should undergo additional, state-mandated training to help new teachers meet the needs of the state’s large population of English learners. TFA underscores the importance of its recruits’ success as teachers, frequently touting positive new statistics and research. But its corps members’ impact on low-income students is only the short-term, experiential part of the organization’s more important long-term mission: to build a force of leaders who will go on to influential public and private sector careers supporting TFA’s education reform initiatives. Whether or not TFA ever considered itself a teaching organization, it does much more these days than send teachers to educate children. Although TFA initially maintained a safe distance from the political fray, the organization’s lobbying data indicate that it has spent nearly as much on lobbying since 2010 as it did in the previous decade: $1.8 million versus $1.9 million, respectively. According to TFA’s data, 63 percent of its alumni stay in education, although roughly just 30 percent remain in the classroom — and the attrition increases significantly after the fifth year. Where the organization has been most successful is in meeting its ambitious alumni leadership goals. It has increasingly prioritized helping alumni find jobs once they leave the classroom, with its most robust efforts set on influential careers in politics. More than 70 alumni currently hold public office, including two state senators. Within the federal government, their ranks include two assistants to Education Secretary Arne Duncan, as well as education policy advisers and associates in the offices of Senators Harry Reid and Al Franken and Representative George Miller. More and more current and former members are publicly voicing their feelings about the organization in blogs and major publications. On college campuses, the organization Students United for Public Education is campaigning against TFA at its source: recruitment on college campuses. Although TFA hasn’t backed down on its overall expansion plans, Lindsay Hill, the Seattle director, has made adjustments to her program that indicate that the organization may be open to incremental change. This year, TFA’s third in Seattle, she eliminated all district fees, which means she will have to raise more money, cut back on the number of recruits, and partner with more rural school districts that need teachers. “We have to make sure that our vision and our strategy meet our context,” Hill says, crediting meetings with recruits, students and community members in her decision. Of the first 13 Seattle recruits whose two-year commitment is now over, Maldonado and 10 others remain in their classrooms. While he thinks TFA should have done a better job before bringing his cohort to the city, Maldonado says he still believes strongly in the organization and worked at its summer institute in New York City last year. Maldonado enjoyed the experience so much, he says, that he’s considering a path he never would have imagined two years earlier: leaving the classroom for a full-time gig with TFA.